Obituary for Randy Beach | Scala and Roefaro Funeral Home, Inc.
Mr. Randy Beach entered into eternal rest, on Thursday, January 17, 2019 at the age of 43. Randy enriched the lives of so many people during his time on this earth. He leaves behind a loving and diverse family; siblings Ed Murphy of Peekskill NY, Linda Murphy of Pine Island NY, Lori Murphy-Wydra with husband Dave Wydra of New Jersey, and Peggy Phillips and family of Schenectady NY. Randy is reunited with his adoring parents Gladys and Edward P Murphy formerly of Pine Island. He is remembered by his niece Jenna of California and numerous loving friends and caregivers of his extended UCP family. 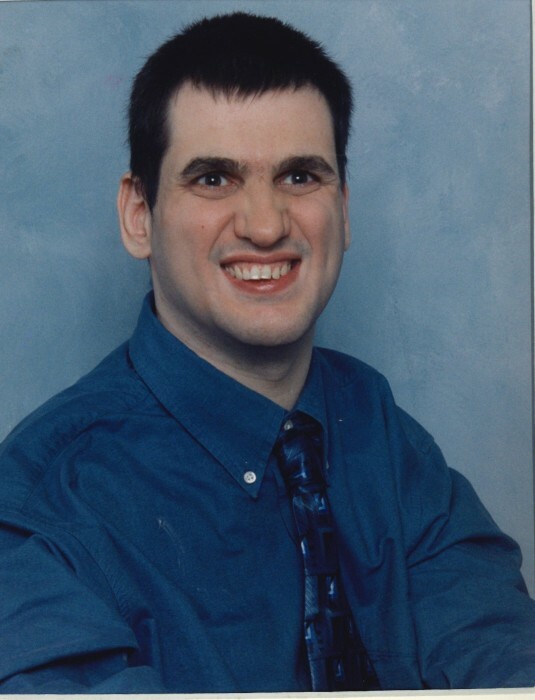 In memory of Randy, donations can be made to Upstate Cerebral Palsy of Utica NY, a family services network devoted to improving the lives of so many people. Visiting hours will be Tuesday from 3-5 pm at The Scala & Roefaro Funeral Home Inc. 1122 Culver Ave. Utica. Prayer services will be at the conclusion of visitation at 5:00 pm in the funeral home.